Bethesda has offered up the full patch notes for Fallout 76 update version 1.04 for PlayStation 4 and Xbox One as well as version 1.0.3.10 on PC. Let's face it: there's a lot about Fallout 76 that needs to be adjusted. That's likely why Bethesda keeps rolling out fresh patches, with the latest update 1.04 landing on PlayStation 4 and Xbox One this week. The patch notes for Fallout 76 version 1.04 speak to a number of various improvements and changes, including stability enhancements for client out of date errors and tweaks to everything from the C.A.M.P. to SPECIAL re-specs and more. The latest December 2018 update version 1.04 for Fallout 76 is a rather big one. The update itself clocks in at 5GB for both PlayStation 4 and Xbox One, and around 3GB for PC players. The full list of 1.04 patch notes was posted over on the Fallout 76 subreddit, and while the list of changes is frankly too long to post here, Bethesda has at least offered a few specific highlights. These highlighted changes come alongside other general tweaks, with Bethesda claiming that "several improvements have been made to in-game performance" and that the "Fallout 76 game client and servers have received additional stability improvements." For the complete list of changes in the Fallout 76 update version 1.04, be sure to stop by the Fallout 76 subreddit. 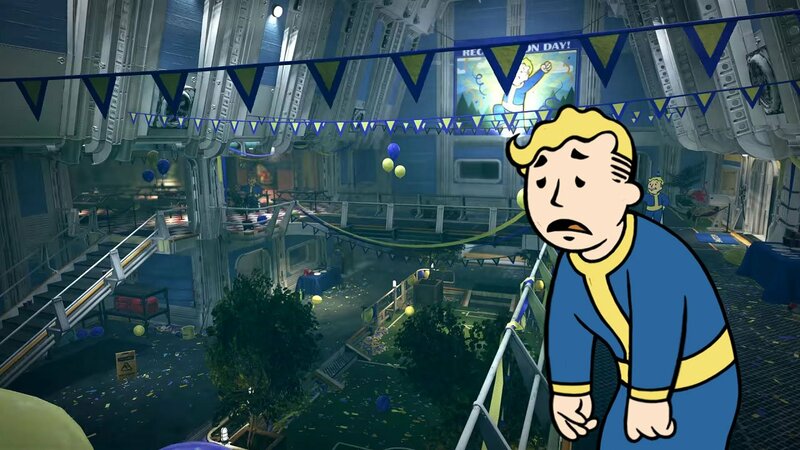 Will the changes offered in Fallout 76 update version 1.04 be enough to bring series fans back around to Bethesda's latest release? Only time will tell, but we can at least say that the addition of ultrawide compatibility in Fallout 76 is flat-out bad. Clearly the team needs to take that fix back to the drawing board. Fortunately, for those who are still enjoying the game despite its flaws, we've got loads of additional information on quests, skills, and more featured over on Shacknews' Fallout 76 guide and walkthrough.